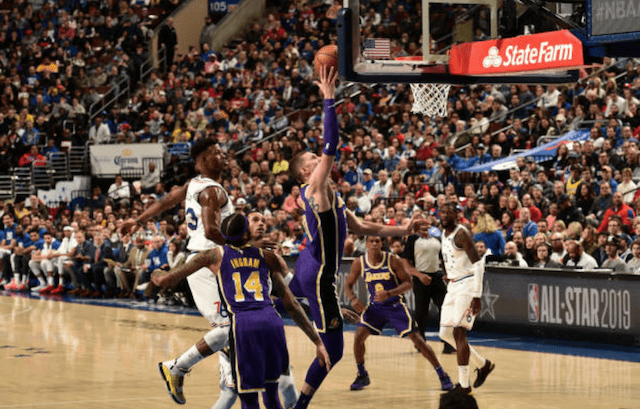 While Los Angeles Lakers president of basketball operations Magic Johnson met the team in Philadelphia to discuss the franchise’s pursuit of an Anthony Davis trade, give players a sounding board and ease minds, the visit spawned a separate issue. Speaking with members of the media about the message he gave the Lakers, Johnson was asked about Sixers rising star Ben Simmons. 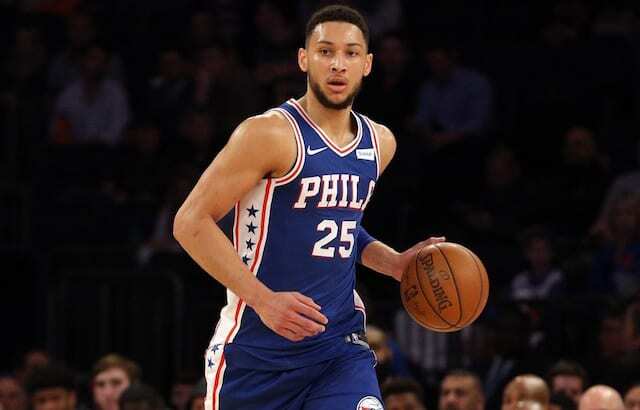 The Hall-of-Fame point guard revealed Simmons contacted him to inquire on potentially arranging offseason workouts. Johnson added it could only take place if the Lakers, 76ers and NBA approved such an arrangement. Nevertheless, the league announced an investigation into the Lakers to determine if they violated tampering rules. “To clarify, last November the 76ers sent an email to the Lakers asking if Ben Simmons would be able to speak with Magic Johnson about his Hall of Fame playing career,” the Lakers declared in a statement. The Lakers have previously been fined for tampering due to contact with Paul George, and Johnson praising Giannis Antetokounmpo and predicting he would help lead the Milwaukee Bucks to a championship. Though Johnson’s remarks were innocent enough, NBA commissioner Adam Silver later explained the Lakers nevertheless were fined because of their prior history.